Holy Family BNS, Carlow Primary School: The boys are working very hard preparing for the Credit Union Quiz which will be held in Holy Family BNS on the 3rd of February. 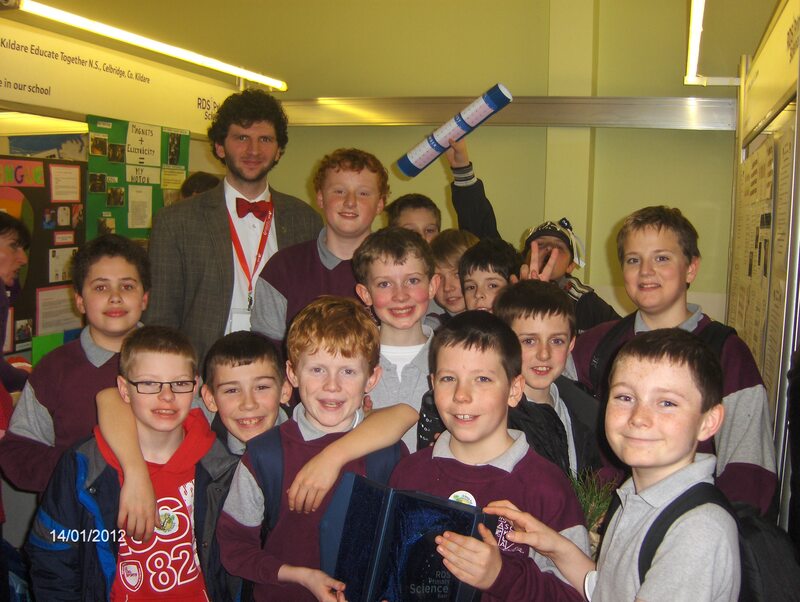 After a very successful trip to the Young Scientist Exhibition in the RDS, 5th class pupils will be representing Holy Family BNS at the Ericsson Science Fair on the 24th of February in the Dolmen hotel. The boy’s project on digital money can be viewed on the school blog at askeabns.worpress.com. All the senior classes are being registered for World Maths Day which will be taking place in March. The Graham Kavanagh Soccer league has come to a very successful conclusion with a large group of boys from 3rd class participating. Every boy that took part in the league received a gold medal. The FAI has also invited the school to take part in an Inter Schools Cup. The boys are busy training outdoors for this competition at the moment. The lads were also delighted with the visit of the community Guard, especially when they got a chance to try on the handcuffs! Major work will be carried out on the school playgrounds shortly. In anticipation of this tremendous work is being done by the school’s SNAs in teaching the children traditional games such as Queenie ,Queenie, Tag, Stuck in the Mud!